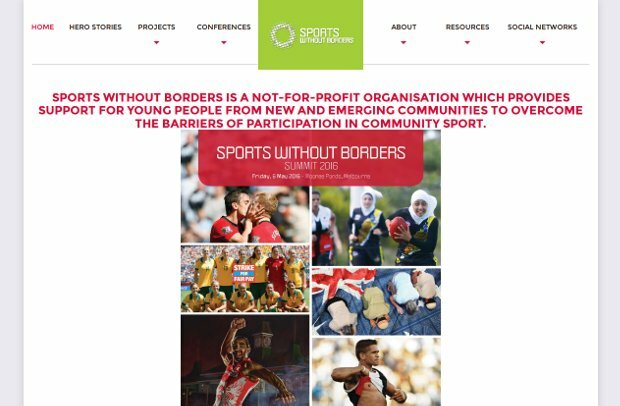 Sports Without Borders is a not-for-profit organisation which provides support for young people from new and emerging communities to overcome the barriers of participation in community sport. Their focus is to build social inclusion through sport; they do this within four functional areas: 1. Providing direct grants for new and emerging communities to participate in sport. 2. Raising awareness of challenges faced by new and emerging communities and the benefits of sport and recreational activities in promoting social inclusion 3.Consulting with community and sport organisations to enhance opportunities and inform best practice and finally 4. Facilitating sport programs to encourage social inclusion and pathways to community sport clubs.